The entire ibis Nantes la Beaujoire hotel team wishes you a warm welcome to Nantes. Make the most of our location and visit the city center of Nantes or see an event at the Beaujoire exhibition center. 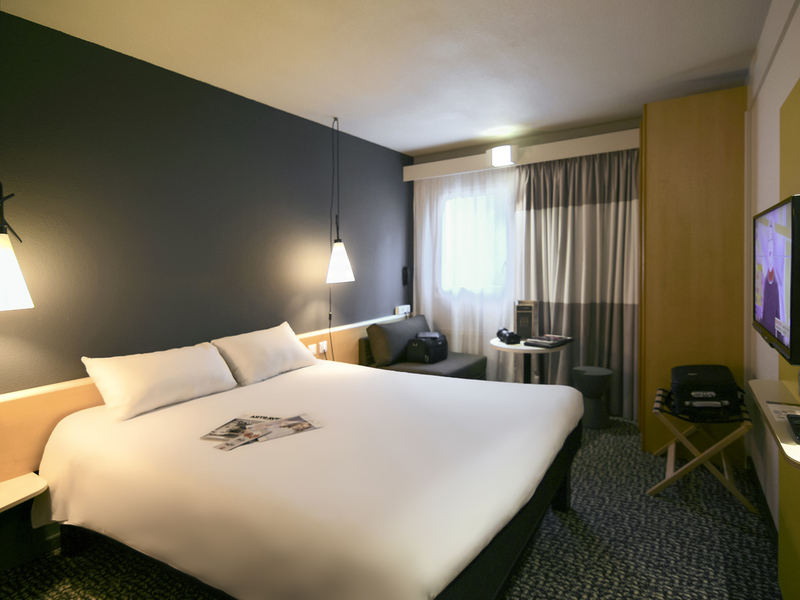 The ibis Nantes La Beaujoire Parc Expo hotel has inviting, comfortable and modern rooms with soft beds, a practical bathroom and free WIFI access. Standard Room with 1 single bed. Located near Nantes exhibition center and La Beaujoire stadium, our Le Bistrot restaurant serves traditional, seasonal French cuisine made using fresh, homemade produce.